Takashi Miike is hitting it big time now. 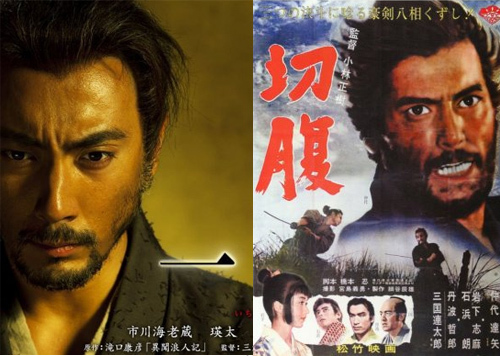 Goodbye are the days of Fudoh: The New Generation and Dead or Alive and hello to the era of massive critical acclaim with his remake of Eiichi Kudo’s 13 Assassins. (One of Kudo’s many’s samurai films…I imagine a poster should also have the tagline “From the Man who brought you Eleven Samurai!”). It’s not like Japan has any shortage of samurai films in the past decade, as we had Izo, the Azumi films, Kitano’s Zatōichi, the science fiction themed The Princess Blade and Yôji Yamada’s Twilight Samurai which was nominated for an Academy award. 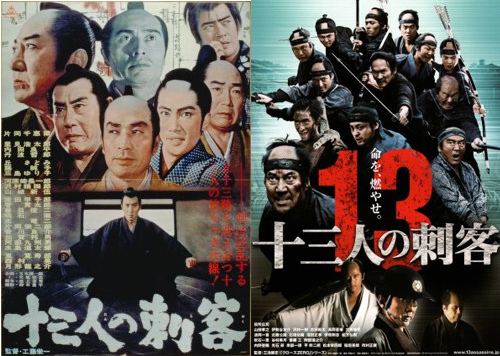 But 13 Assassins is different as I don’t remember the last time everyone was so excited for this kind of film. In usual Miike fashion, he already has about 30 films that are also coming out this year. His latest remake is of Masaki Kobayashi’s Harakiri premiering as the Cannes Film Festival soon. The original is pretty classic to me and I don’t see many ways to improve upon it. The teaser trailer for the remake is quite appealing looking however. So what’s next for the remake cannon? I’m sad to report it’s a remake of the Seven Samurai. Thankfully, any director with good taste would turn this down as no one wants to be known as doing another version of Gus van Sant’s Psycho. Who’s directing then? Scott Mann. Who’s the hell is that you’d ask right? Yeah, the director of the direct-to-video hit(?) The Tournament. I suppose someone thinks this is a good idea…somewhere. I’ve tried to look more into this online, but doing google searches of Scott Mann is NOT for everyone! You have been warned! Anyhow, you’d think Miike who is remake obsessed would tackle this, but he’s got a much more serious project at hand now. Check the trailer for that below. It might be a trap! I fully expect an American remake of this from Robert Rodriguez in a few years. This entry was posted on Wednesday, May 4th, 2011 at 1:36 pm and is filed under 13 assassins, eiichi kudo, harakiri, japan, seven samurai, takashi miike. You can follow any responses to this entry through the RSS 2.0 feed. You can leave a response, or trackback from your own site. 5 Responses to Samurais Samurais Samurais! 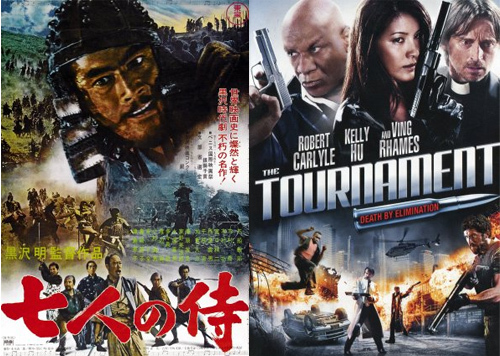 No to Ninja Kids or Seven Samurai? Seven samurai, What good could possibly come of it? I just can’t see how it would make any money, and wasn’t The Magnificent seven enough?